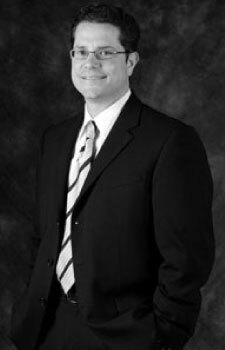 Rick Page joined the OfficeLease team in February 2004 as a real estate broker. Rick’s focus is to understand what it is that will truly satisfy clients’ requirements and implement real estate strategies that put his clients in the best negotiating position for success. Rick brings valuable insight and experience in sales to his position. Rick was a regional sales manager for Kimball International, and then vice president of sales for Business Interiors Northwest, a background which provides a solid understanding of office environments and space users’ priorities. Originally from Nebraska, Rick moved to the Seattle area in 1996 after spending 9 years in the San Francisco Bay area, and as a result of a four-year long business relationship, Paul Suzman presented Rick the opportunity to join the OfficeLease team and to master the skills needed to become a highly valued commercial tenant representative. Teaming up with others at OfficeLease, Rick’s objective is to ensure that deals come together for clients efficiently and seamlessly. Clients can also count on Rick to help them identify quality resources to meet/manage their lease negotiations, design, construction and relocation ie; legal counsel, architects/designers, project managers, construction contractors, IT infrastructure, furniture and movers. Rick’s love of golf has taught him that he’s only as good as his last shot. This is a great reminder to never take anything for granted. Rick earned a Bachelor’s degree from the University of Nebraska, holds a Washington State real estate license and serves on the Board of Governors for the Washington Athletic club. Rick and his wife Terry have two children and live in Newcastle.